Is it time to sell your stock investments? If you have a workplace retirement account or brokerage account with investments in the US stock market you may be tempted to sell now. Markets are unpredictable and volatility is scary. Investing 101 informs that you need to take some risks in order to be eligible for a larger return. The problem with that reality is that no one enjoys seeing their investments decline in value. Even if you don’t know anything about investing or understand the mutual funds in your retirement account, you understand a 5 year annual 16.31% gain in your Vanguard Total Stock Market ETF (VTI). You realize that a 16% return is much better than the 0.60% return you’re earning on the cash in your savings account. Not only are investors usually happy with double digit gains, but after large gains, their anxiety and fear frequently kicks in. What if the stock market declines? There’s discussion online that investment markets are over valued. Most investors are okay with volatility as long as it is going up! After a nice run up like the past 5 years, you may be tempted to sell and take some profits. Glancing at the 5 year chart for the SPDR S&P 500 ETF Trust (SPY), an index exchange traded fund that mirrors the S&P 500, you’ll notice that 5 years ago, on October 24, 2011 the fund was trading at $128.60. On Friday, October 21, 2016 the fund closed at $213.98. That’s a 66% gain over the past five years. Should You Capture Some Gains in your Investments Now? The answer to that question depends upon several factors. Will you need the money in your investment account within the next 5 years? If so, definitely, take some gains. In fact, if you needed the money in your investment account within 5 years, it shouldn’t have been in the stock market in the first place. The stock market is way too volatile for any short term funds. That question requires two separate decisions. Obviously, you could sell and take some profits off the table. But with interest rates in the basement, your cash would get eaten up by inflation over the next 10+ years and be worth a lot less when you really need it. Question one – Should you sell now? 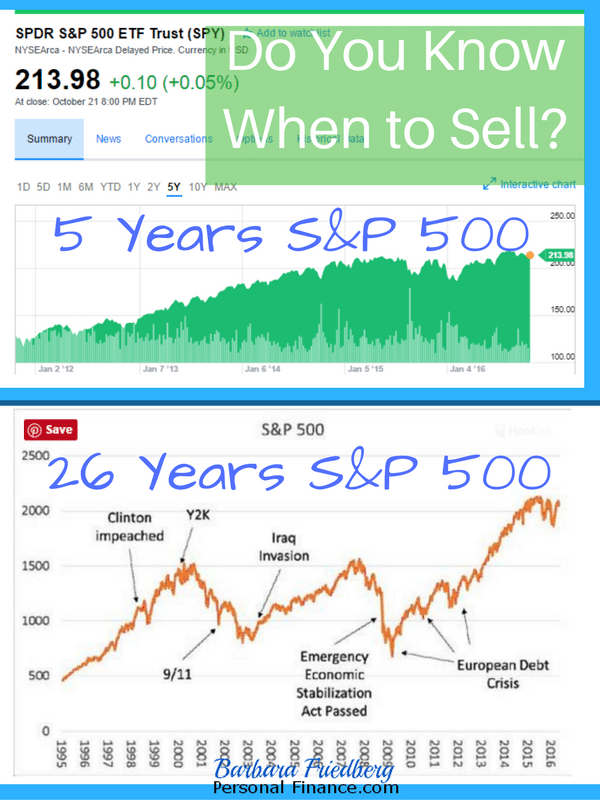 Question two – If you sell now, when is the best time to get back into the stock market? If you sell now in an attempt to capture some gains, and the market declines a bit, you’ll be quite proud of your decision. But how will you know when to reinvest your funds into the market? That’s the real problem, how will you know when the market is ready to rebound after a decline. The answer is, you don’t know. The greatest gains in the stock market are made in a proportionately few days. If you miss the best 3-5 weeks in a year, you may miss the majority of gains for the year. Timing the market, or jumping in and out requires you to judge correctly twice, once in when to sell, and the second time, when to buy. Michael K. Farr dug into this issue recently in a CNBC.com article, “Should investors move to cash and hide out until the election is over?” He reported on a JP Morgan study that reminded investors that the annual S&P 500 return from 1996 through 2015 was 8.18% annually. Yet, if you tried to time the market, to miss the declines, your result would likely suffer. If you missed the 10 best performing days during the 1996 through 2015 period, your annual return would have dropped to 4.49%. If you missed the 30 best performing days during the 1996 through 2015 period, your annual return would have fallen to -0.05%. Are you prescient enough to judge correctly twice? How Did Market’s React During Times of Upheaval? Notice the chart showing market movements after major world and US events. There’s no consistent market response to unpredictable economic or political occurrences. Trading in and out is a risky strategy to try and beat the market. Investment professors (myself included), John Bogle (founder of the Vanguard Fund Group), and Burton Malkiel (author of A Random Walk Down Wall Street) advise investors to keep their funds in an asset allocation in line with their risk tolerance and stay the course. Over time, if you believe the US and global community will continue to prosper, then stay invested and accept that the investment markets are volatile and over time, have trended upward. Readers, what are your strategies for dealing with the ups and downs in your investments? Parts of this article were previously published and comments remain. Bogle and Malkiel are incredibly conservative and in Malkiel’s case frequently actively wrong. That said, if an investor has no useful skills then asset allocation can buy them something. historically has done much better than asset allocation. FWIW, it says you should be long stocks for at least the next 13 weeks, probably much longer. I’m too scared to try to time the market. I’m riding out these highs and considering rebalancing my portfolio soon to even things up a bit. I’m with Brent: rebalance now to your optimal allocation. When things go haywire (as they often do in September), look for ways to buy more. You’ll be rewarded by buying low. 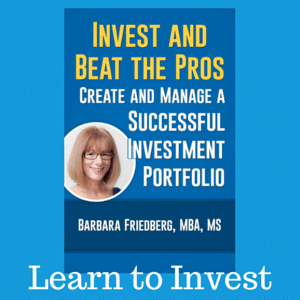 @W-As a university finance instructor, decades long investor, and student of the science of investing, the empirical research substantiates that it is extremely difficult to time or beat the markets. Further, those that outperform one year, are unlikely to replicate that outperformance. @Brent – Sounds like you possess a healthy fear. Rebalancing once or twice per year is a great strategy to buy low and sell high. @Joe-Couldn’t agree more. I prefer to boost fallen asset classes when there’s fear in the air. I am in for the long run! After all I plan on a very long time in retirement. I may feel differently in retirement, but it is at least 5 years away. Great post Barb. I totally agree with Bogle and Prof. Malkiel regarding the use of asset allocation as long-term strategy. While it is OK to take some gains off the table in a taxable account to fund a major purchase or some other financial priority, I am a firm advocate of a strategy that uses ongoing rebalancing and is tied to one’s overall financial plan. Timing the market is a fool’s errand for most people. @Roger & Krantc- There’s just way too much evidence against timing the market to expect that one is smarter and luckier than those highly paid finance men and women on wall street. @Barbra, actually no the research doesn’t say that. A very small portion of the research by a small cadre of people with vested interests say that. The rest of the world got on the behavioral economics bandwagon 30 years ago and has never looked back. The method I linked (not sure what happened to the link) has outperformed notably for the history of the S&P, is statistically VERY significant, and is so easy a goldfish could implement it. Barbara, my strategy is to allocate portion of my portfolio to growth and dividend. I select 5-10 companies, mainly large cap with market dominance like Apple, JNJ, MCD, IBM. I keep investing in these companies when stock corrects more than 10% as long as the fundamentals are strong(my buy and beware strategy vs buy and hold). I also allocate portion of portfolio to Vanguard inflation protected securities fund(bond fund) and Vanguard index fund. Overall, my portflio has returned on average 18% for the last 4 years. @Shilpan- Although 4 years is a short trial, 18% is quite laudable. A note of caution with the TIPS (Inflation protected securities fund) Fund, which I personally own as well, when interest rates rise, you will see the value of the fund decline, as is the case with bond funds. Good luck with your investing. We are like Julie. We are consistent long term investors so we just ride the wave through the ups and downs. Our strategy never changes. @Julie and @ Miss T, Great attitudes!!! (Quite similar to my own 🙂 ) That type of patience and consistency is what separate the true wealth builders from the speculators. Thanks a lot advice…More so, these kinds of groups should be able to come up with the most practical housing solutions since everything revolves around here nowadays. Barbara, I do not invest all money in one market. I invested 30% in stock market, 30% in forex and 20% in Gold, while 20% is in saving account. Saving account money is security money for me to continue my trading career, if I get big loss in stock, forex or gold trading. I had invested in, Google, Apple and Microsoft for long time and hope it will provide me desirable profit. I planned to sell my stock after presidential election. Is my decision right? @Shawn, It sounds like you are an extremely aggressive investor. Timing the market with accuracy is quite difficult due to the fact that no one knows the future. 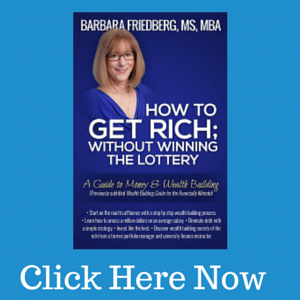 I strongly recommend you read my Free eBook 20 Minute Guide to Investing http://forms.aweber.com/form/00/151654000.htm. I’d be very careful with 20% in gold. Personally, I suggest a bit more conservative stance with some funds in bond investments as well. I agree with your 20% cash position, it’s really important to have a cushion. Great thanks for your eBook and suggestion. I will add BOND in my trading portfolio as well. 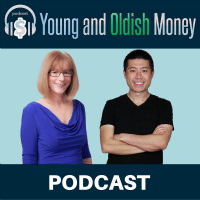 Hi Shawn, Thanks for the interest in my work and glad you are enjoying 20 Minute Guide to Investing. Be careful with bond investing now, since bond yields are very low at present, when they start to increase, the value of your bond investments will decline. This is a very solid investing strategy. Don’t worry about short term fluctuations, just let the whole market grow in value. Trying to daytrade without doing all the research is a hassle and can result in significant losses. Playing the market conservatively stops rash decision-making. Thanks for this, Barb. Millenial, Bogle, the founder of Vanguard once said that if you can invest and not look at your investments until retirement, you’ll be okay. But, worrying about the daily, monthly and yearly fluctuations in asset prices is silly.